It’s hot. It’s sunny. It’s still a great time to add plants to your summer garden that you might have missed. Whether you have bare spots, colorless corners or simply want a new addition, we’ve got you covered. At The Growing Place we have beautiful, colorful plants just waiting for you to take them home. Check out some of our teams’ favorites below as we head into our greenhouses to find just a few of the many annual and perennial gems. 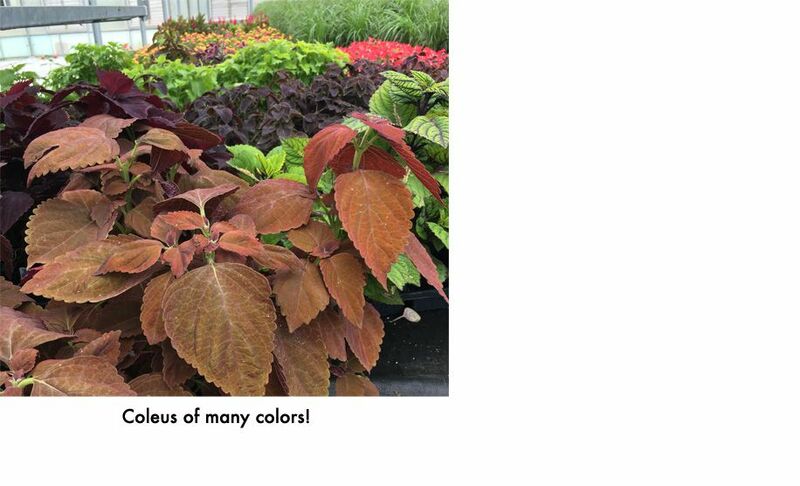 Looking for funky colored foliage in a low-maintenance plant? Then this is perfect for you! Coleus’ multi-colored, stunning leaves are perfect for adding a pop of color to those drab, dark areas. They come in a huge variety of leaf size and color. In addition, some are more upright while others trail, making them an extremely versatile plant. There are coleus for both sunny and shady spots and they need fertile well-drained soil. Clusters of tiny violet flowers are supported by strong stems on this striking plant that attracts butterflies. 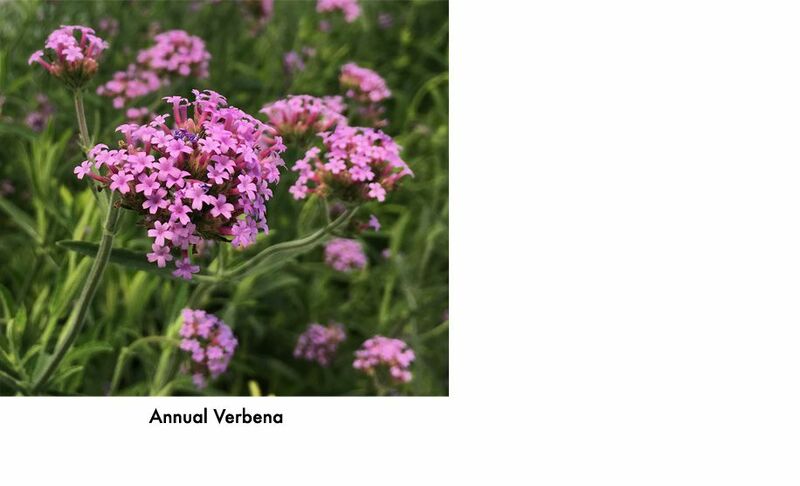 Towering at 2-4 feet tall, this Verbena is ideal in gardens where it can act as a filler and provide a gentle pop of color. Works well in containers too. Plant in sun to part shade and water when the soil surface is slightly dry. This plant drinks a lot! Lantana Bandana ‘Sunrise Rose’ in Party Pots! Also known as Butterfly Weed, this vibrant orange, sun or part-shade plant is a pollinator's dream, as a host plant and food source for Monarchs and as a nectar source for all butterflies! It also makes a great accent or border plant too. 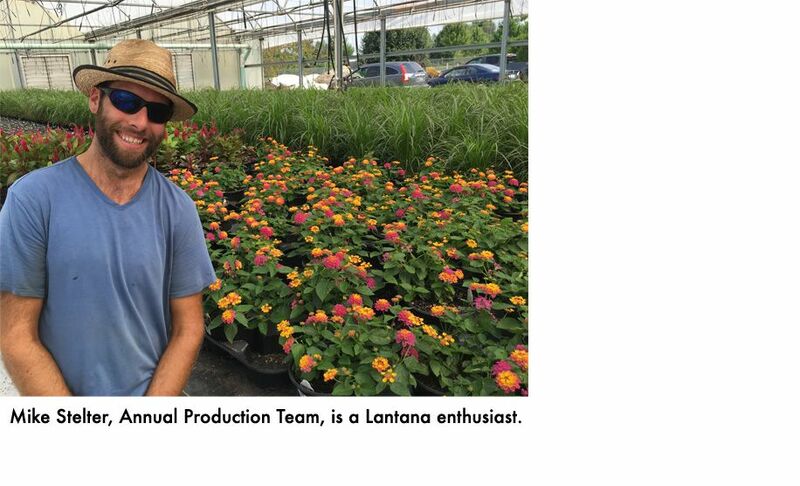 Austin Hartline, Perennial Production Team, is a big fan. 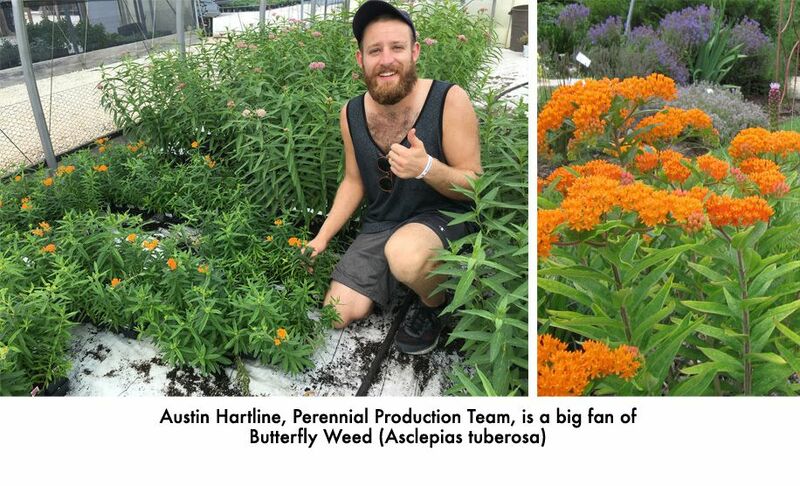 “It’s an ‘easy-to-care-for’ plant that attracts butterflies for your enjoyment and viewing pleasure,“ Hartline said. “What’s not to love! ?” TGP also carries several perennial varieties like Common Milkweed and Swamp Milkweed as well as the annual variety. So you can find the perfect accent color for your garden and help feed the butterflies. 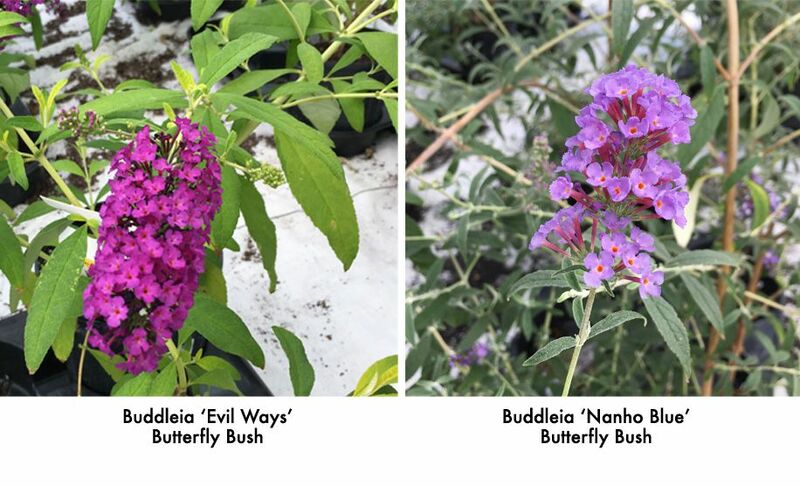 Butterflies can’t resist these remarkable varieties of Buddleia, better known as Butterfly Bush. Drooping, rich-colored flowering spikes stand out in a garden against a multitude of plants. In addition, these varieties are drought tolerant and while they will grow from Zone 5 to Zone 9, they will do best in a protected area because of our harsh Chicago winters. Don't forget it’s not too late to help those pollinators out before fall rolls around.